KEY TECHNOLOGIES: A thinner, lighter stainless steel crown than in last year's woods drops the CG for higherlaunching shots. PLAYABILITY: Best-in-show -- willing to shape shots like a player’s stick; nearly as easy to hit off the ground as it is off the tee; delivers a natural mid to high, penetrating flight, but the adjustable hosel helps you tune trajectory and shape. ACCURACY/FORGIVENESS: One of the most accurate fairway woods in the test; precision gives our testers the confidence to fire away at narrow targets; large head provides more room to forgive misses on the heel and toe. DISTANCE: Head of its class; a bomber, longer than what just about everyone has in play; the 3+ wood sends shots screaming down the fairway; thin shots launch low but run hot, while heel and toe hits get out there with the best of them. FEEL: Another strong suit; firm, muted impact feels like hitting a punching bag; compresses the ball before liftoff; well-balanced and sturdy; head holds its line through the hitting zone. LOOK: Midsize head is traditional in shape but wild in every other way; electric blue crown and a neon green swoosh contrast with its silver face. The color and busy sole design will keep it out of some bags; impact feels too hard for a few testers; not as easy to get airborne as some other models. 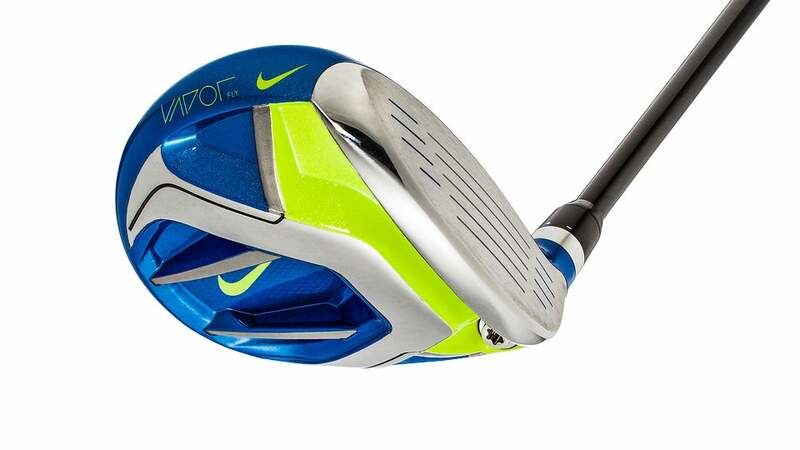 BOTTOM LINE: The Vapor Fly is one of the stronger performers in the Game Improvement category. Players looking to add some flash to their game -- as well as their golf bag -- should put it on their radar.